DOWNLOAD YOUR BLUES GUITAR LICK GUIDE NOW! 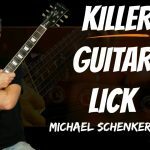 Blues Guitar Lesson – Learn 7 blues guitar licks, 3 essential blues guitar scales and awesome blues guitar tips and techniques for playing blues guitar solos in the style of Eric Clapton, Stevie Ray Vaughan, BB King, Albert King and other blues guitar greats! 0:46 Blues Lick 1. If there was ever a must know blues lick then this is probably it! It’s used by all the blues guitar greats like Eric Clapton, SRV, Albert King etc and is a powerful lick to begin your blues solos with. 2:06 Blues Lick 2. This lick is borrowed from Stevie Ray Vaughan and is a lick he loved to play. Listen to his album Texas Flood to here licks like this used a lot. 3:14 Blues Lick 3. Albert King is an influential blues player and this lick is the kind of thing he used to play in his blues solos. Check out the bending tips in this lick too…you’ll need them to get your bends sounding like Alberts! 4:54 Blues Lick 4. Eric Clapton’s playing with Cream inspired this next blues lick. It’s packed full of tasty blues bends and curls. 7:08 Blues Lick 5. This Stevie Ray Vaughan style lick uses the sliding blues scale shape. Definitely check out these bends and slides in this scale pattern. They’re incredibly useful, versatile, and can add a lot to your blues solos. 8:25 Blues Lick 6. A classic BB King style lick here making use of a tasty double stop move. This is adding the 6th into our pentatonic scale (7th fret B string) giving us a ‘sweeter’ sound characteristic of BB’s guitar style. 10: 12 Blues Lick 7. British blues legends Eric Clapton and Peter Green used licks like this in their landmark solos. Some tasty double stop slides here coming from the sliding blues scale plus a cool pre-bend move.. Experiment with these they can sound great in your blues solos. 12:08 Once you know these blues licks be sure to practice using them in your solos. Also move them into other keys to you can use them in any blues setting. Hope you found this blues guitar lesson helpful…remember to grab you ‘BLUES GUITAR LICK GUIDE’ below!